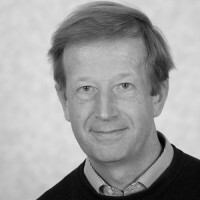 Prof. John Dennis is Head of the Department of Chemical Engineering and Biotechnology at the University of Cambridge. He obtained both his PhD and full professorship of Chemical Reaction Engineering at Cambridge in 1985 and 2012 respectively, affirming his long-term involvement with the institute. Alongside being a lecturer and reader at the university, Dennis has worked in the industry as an engineering consultant specialising in the solution of difficult process or economic problems.